Three suspects have been arrested in connection with the fatal shooting of a 29-year-old man who was pushing his 3-month-old infant son in a stroller in unincorporated Hayward last month, Alameda County sheriff's officials said Thursday. 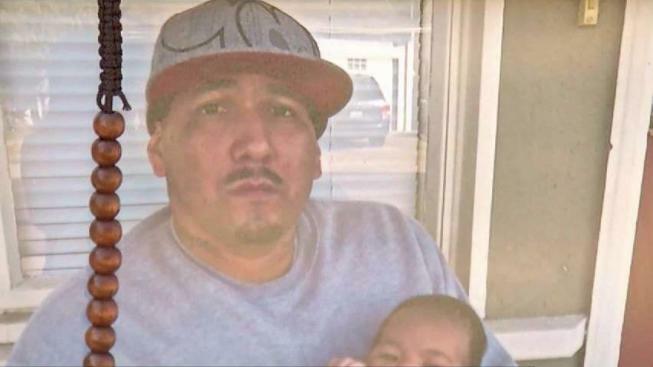 Hayward resident Daniel Deltoro was shot and killed while taking his son on a walk in the 200 block of Willow Avenue in the Cherryland neighborhood at about 2:45 p.m. on July 19, according to the sheriff's office. Following nearly a month of investigation, deputies arrested 25-year-old Pablo Mendoza of Hayward, 26-year-old Brandon Follings of Hayward, and 26-year-old Valerie Boden of Alameda, sheriff's officials said. Sheriff's Sgt. Ray Kelly said investigators believe the shooting was a result of gang activity and had "a specific targeted intent." 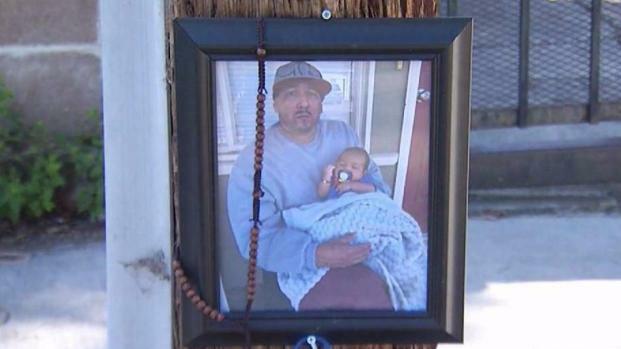 Alameda County sheriff's deputies on Thursday identified a man who was gunned down while pushing a stroller with his 3-month-old child in it, and continue to search for the alleged shooter. Sharon Katsuda reports. Deltoro "had left gang life behind and was moving forward in a positive direction with his life when this happened," Kelly said, calling the shooting "very unfortunate." He said the fact that Deltoro was pushing an infant when he was shot was "pretty shocking to the community" and "our investigators worked very hard on this." Jail records showed Mendoza was booked into jail Thursday and is due in court on Monday for arraignment, while Follings was booked into jail on Aug. 5 and is next due in court on Aug. 31 for a plea hearing. Jail records did not show that Boden was currently in jail in Alameda County, but Kelly said she was arrested days after the shooting. Anyone with information about the case is encouraged to call the sheriff's office at 510-667-7721 or an anonymous tip line at 510-667-3622.